I have to wait until the last race of the day for a sprint that's of any interest and then I couldn't write much about each horse so it will be a summary of the race. Titus Secret could try to lead but it hasn't raced on this surface before so I'm not sure but its best time at Wolverhampton would put it in 2rd spot on my figures so may need to improve a little to win this race which is the same with Sweet And Dandy and this ones Wolverhampton time would put it in 2nd position but it has run over this c/d before and it was quite poor in comparison but is only 3 years old so could still be able to improve. 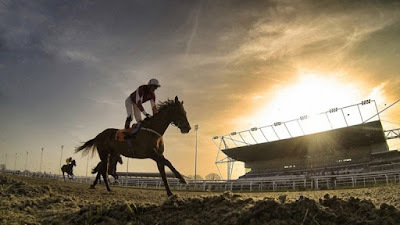 Alba Del Soie could contest the lead and it is another 3-year-old so it could improve as well, another 3-year-old Big Brave Bob is my 2nd best on c/d times but in top spot I've got LITTLE PALAVER 5/2 who won last time out at Bath and if reproduces its best time over this c/d it could win quite cosily, the trainer has a decent 15% win rate at this course and the 7lb claiming apprentice jockey is 3-14 or 21% so is another positive pointer to its chances of winning and the price as I expected is short but a winners a winner.